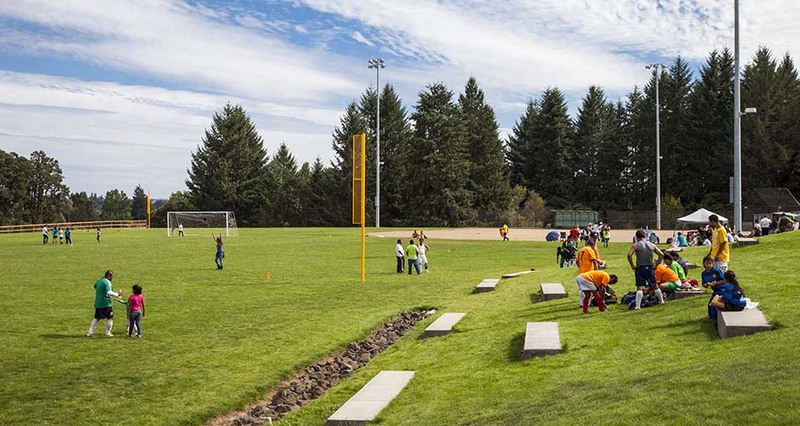 Thatcher Community Park was developed on a 25.5-acre site situated in the City of Forest Grove’s urban growth boundary but still viewed as a rural area. 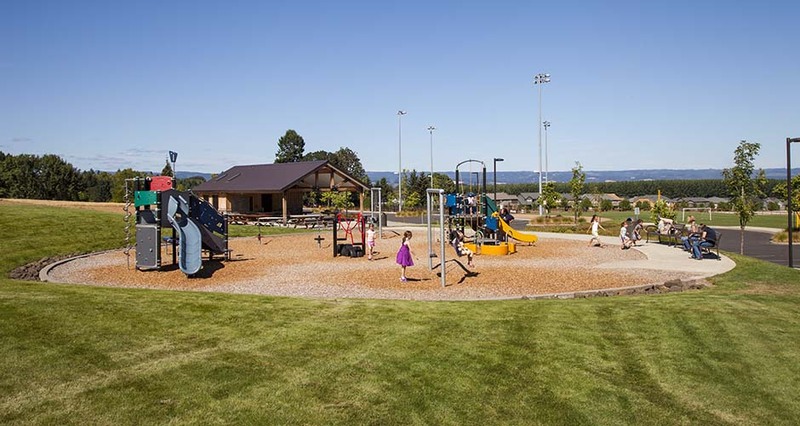 This perception rendered it critical to gain a true understanding of the history, current issues and future potential of the area to build public consensus for the park’s planned amenities. The park was constructed in two phases. The challenges this added layer of planning introduced were addressed through a thorough analysis of construction options and budget reviews. Coordination with several public agencies was necessary to ensure all improvement, permitting, and stakeholder needs were met. 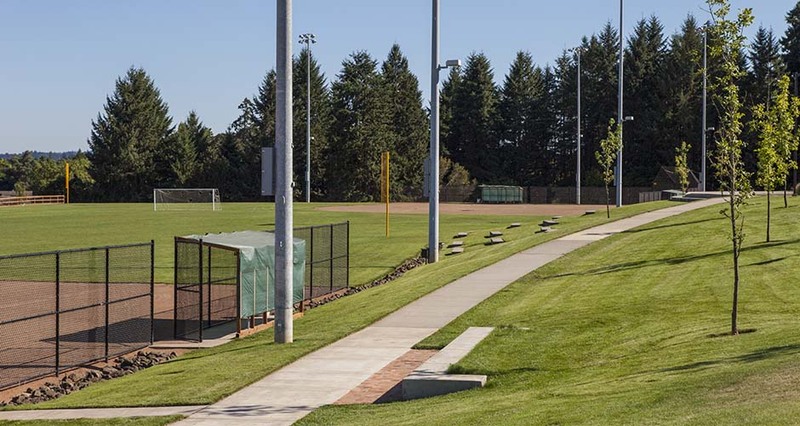 The topography and existing vegetation informed the siting of major amenities, including ball fields, multi-use trails, a plaza with mountain views, play areas, sport courts, a water feature, and a restroom/shelter building. 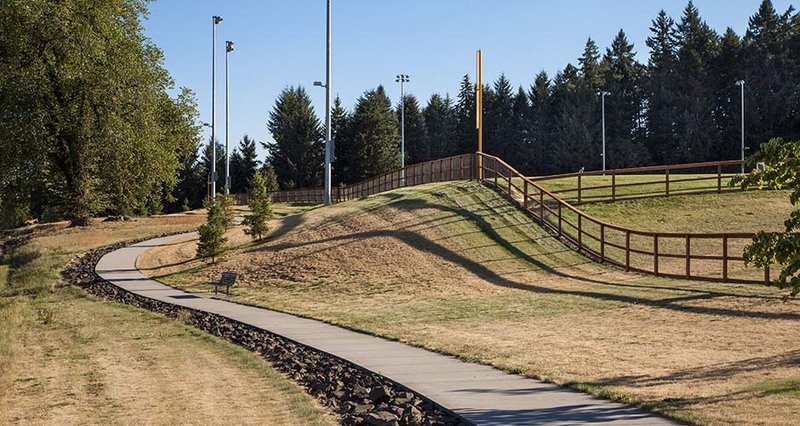 Goals for the project include providing links to the City trail system, minimizing effects of built objects on both the environment and nearby residences, and incorporating sustainable materials and strategies wherever possible.